An optimised maintenance strategy means that your equipment is being maintained and operated at the lowest possible cost with respect to labour, spare parts, equipment, and failure effects. Failure effects may consider cost of downtime, safety and environmental considerations, or operational impact. In these cases it means that your facility is being maintained and operated in a way that is within your corporate risk thresholds, meets operational goals and has the lowest overall costs. So what steps can be taken to ensure that you have an ‘Optimised Maintenance Strategy’? How do you know which strategy is the most effective from a cost, safety, or environmental standpoint? Does an inspection provide adequate warning to predict a failure? Is it more cost effective to replace a component on a scheduled basis given its failure characteristics and the efficiencies gained with planning the work? Or possibly there are minimal cost, safety, and environmental effects, such that the most effective strategy is run to failure. By using software that combines Reliability Centred Maintenance logic with powerful simulation capabilities you can evaluate each scenario and determine the optimum scenario. By optimising each task an optimum task interval can be found. However, these intervals may not always line up to one optimal frequency. The decision then becomes what is the optimal interval to group tasks to a scheduled shutdown which will ensure a certain level of availability is achieved while costs are kept as low as possible. By linking the maintenance task and interval simulator to a reliability block diagram, various shutdown scenarios can be evaluated to find the optimal interval for both costs and availability goals. In much the same way as an individual task can be optimised, multiple tasks can be packaged together into various task groups, and simulated. Often the team that assembles the maintenance strategy and plan are experienced practitioners. There may be times when a basic task description is defined in the maintenance strategy or plan, but further detail is required in order to get the full value out of performing the activity. The basic task may lack quantitative acceptable limits to accurately describe what constitutes a failure, or it may require a modification of the task description so it can better describe the work needing to be performed. This is especially important with new employees who are unlikely to have the familiarity with the equipment like a seasoned veteran would. And finally there may be opportunities to increase efficiencies by adding additional information to the task within the CMMS. By evaluating the task and the resources needed for its completion, you can determine if equipment (such as a crane), spare parts, or consumables could be added to the task in order to make the workers more productive and reduce time organising the job by preparing ahead of time. Very often tasks are performed without an understanding of the failure mode that it is addressing. If the failure mode is random in nature, and there are no detectable warning signs that failure is imminent, it is likely that a time based inspection will have little to no impact on the reliability of the equipment; it’s as likely to fail the day before the inspection as it is to fail the day after the inspection. In situations like these it may make sense to remove the task depending if the failure is hidden or not. 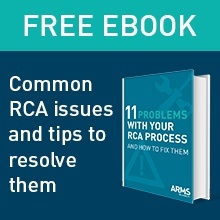 This can help save valuable resources, especially during shutdowns. Another example of where tasks can be removed is performing a time based inspection on a failure mode that could also be monitored with a predictively technology. More often than not condition monitoring will produce more meaningful results without the possibilities of introducing a failure as some invasive visual inspections have the tendency to do. 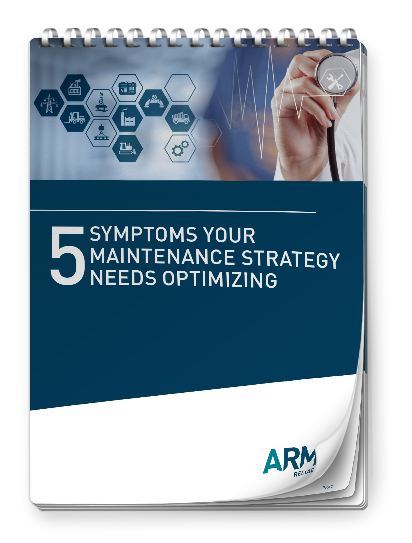 One factor that can often be left out of maintenance strategy projects is the spare parts strategy. Although it’s common to have a strategy for high cost equipment items, sometimes there is less focus on lower cost items, even though they may cause significant downtime if they fail. These items may be particularly important if they are not held in stock and if they have a long lead time. To take it a step further it is important to perform the analysis considering all instances where the part is installed throughout the plant. By considering the cost of the spare part, lead times, downtime costs, and failure characteristics, the maintenance strategy analysis can optimise the spare parts holding levels to ensure that the minimum amount of stock is held on site in the warehouse so that maximum reliability is maintained. Download a FREE Trial of Isograph’s Availability Workbench to start Optimising your Maintenance Strategy today.